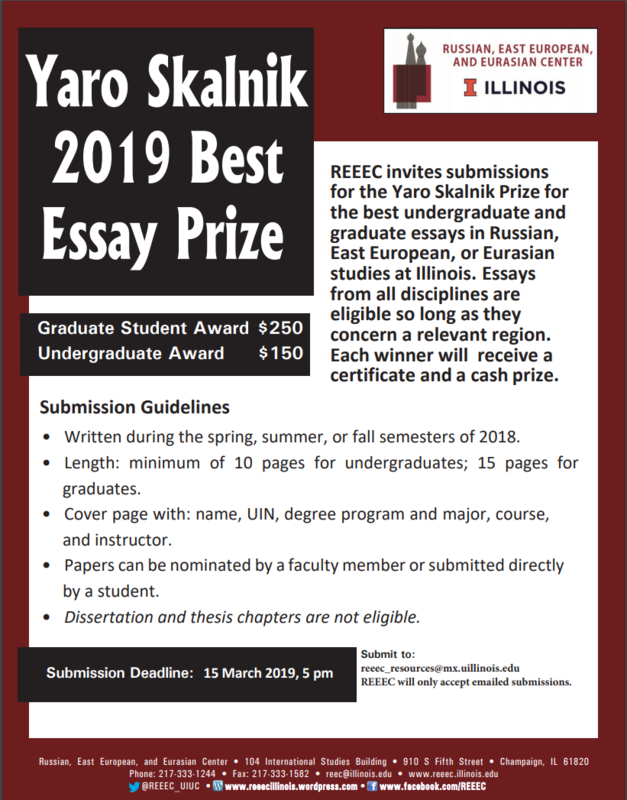 REEEC invites submissions for the Yaro Skalnik Prize for the best undergraduate and graduate essays in Russian, East European, or Eurasian studies at Illinois. The essay can be in any discipline as long as it deals with a relevant region. Each winner will receive a certificate and a cash prize (graduate student award $250; undergraduate award $150). • Written during the spring, summer, or fall semesters of 2018. • Dissertation and thesis chapters are not eligible.